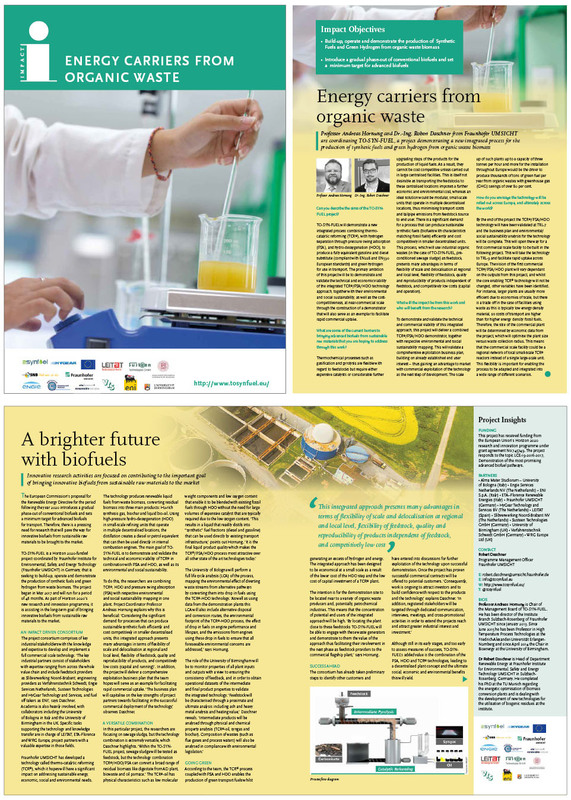 An interesting and useful open access article on TO-SYN-FUEL project has recently been published in the Impact publication in an understandable and accessible language to a wider audience of stakeholders, enabling widespread dissemination. Professor Andreas Hornung and Dr.-Ing. 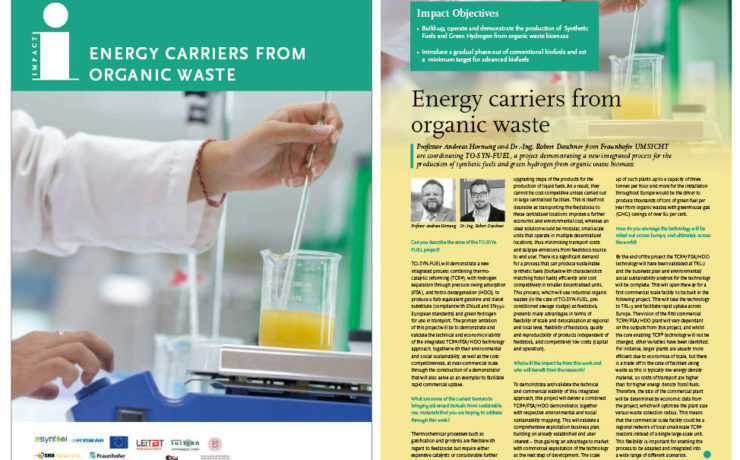 Robert Daschner from Fraunhofer UMSICHT present the project in this article within the topic of energy carriers from organic waste. Impact is a series of leading, high-quality science reports that truly enables the communication of research impact in a format and language that these stakeholders will understand. The publication and this article are also available open access on Ingenta Connect, the world's largest online scholarly resource, used in 30,000 research and industrial libraries and with 1.5 million visits per month, to disseminate the project to a broad scientific community.